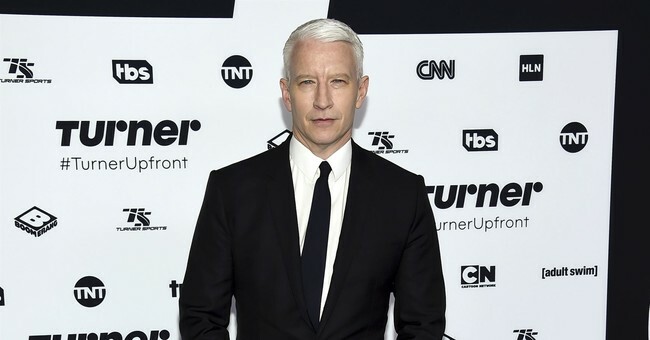 CNN's Anderson Cooper rarely responds to conspiracy theorists, he explained at the outset of Monday night's program. Yet, a tweet from Donald Trump Jr. compelled him to speak up and clarify a few things about his network's coverage of Hurricane Florence. Donald Trump Jr. posted a photo of Cooper standing in knee deep water in an unspecified location and suggested Cooper was lying to make his dad look bad because CNN's ratings are suffering. Cooper interpreted the tweet to mean that Trump Jr. was suggesting his reporting in the path of the hurricane was all for show. Cooper's colleague Jake Tapper defended him but suggested how critics could right the situation. Trump Jr., however, has no plans to apologize. He said Cooper read his tweet all wrong. He never suggested that the photo was from Florence, adding that he was the one is who is the target of a smear. Trump Jr. also wondered when CNN was going to correct their report about him and WikiLeaks. Cooper should be believed. But, there have been a few instances when it seemed reporters were exaggerating their situation, like this.